B & H Engineering, P.C. 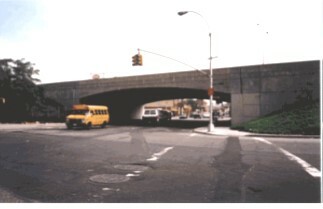 has performed vulnerability study of concrete details, as a sub consultant, for the New York State Department of Transportation. The project consisted of 450 bridges located throughout Region 11. This vulnerability study included identification of concrete bridge components which were prone to failure and may have affected integrity of the structure. Concrete bridge substructure elements evaluated included pier columns, pier caps, solid stem piers, pier bents with piles and hammerhead piers. Concrete superstructure types assessed included arches, box culverts, prestressed members, rigid frames, and T-beams. The work for this project included field inspection of concrete; preparation of vulnerability assessment reports and structural integrity evaluation (SIE) reports; and recommendations for retrofitting and/or replacement of components which were structurally vulnerable.